Dog collars are a necessity. There are various types of dog collars. Within most, you will find several different styles, materials, colors, and embellishments to match the size and personality of every dog, and the economics of every dog owner. The recommendation from most veterinarians and dog trainers is that only experienced persons -professionals or owners- use training collars. This, they say, will alleviate the probability of further behavioral problems. Collars in this category include: (1) Prong or ‘pinch’ collar. It has blunt metal prongs on the inside that pinch, dig, or press against the canine’s neck to create discomfort or distress when it pulls on the leash. These collars are typically used to train the larger, stronger breed of dogs such as Rottweilers, German Shepherds, and Bloodhounds. (2) Choke chain collar. It consists of metal links that is sometimes attached to leather or nylon material. Pressure is applied to the dog’s neck when it is tightened. These collars are also used to control larger dogs. (3) Electronic or Shock collar. It has metal contact points that emit electric current to gently or strongly shock the dog. (4) Martingale collar. The material, usually nylon, has metal rings at both ends that allow for the attachment of a second loop of material for the leash. 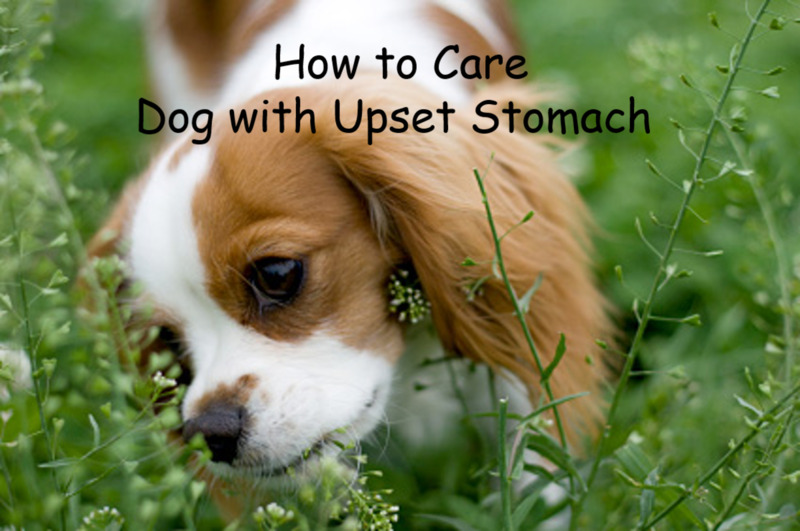 It tends to work like the choke collar in terms of tightening around the dog’s neck. Unlike the prong, choke, or electronic collars, which can result in nerve, tracheal, esophageal, or inflammatory damage, Martingale collars are harmless. 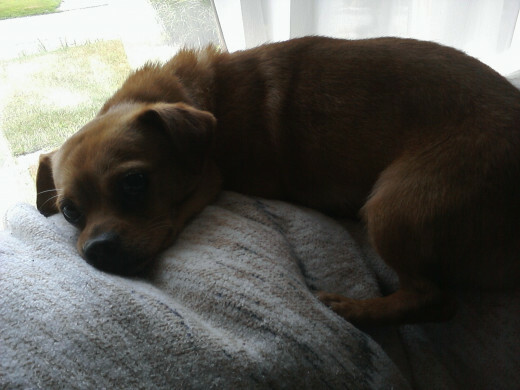 They were actually designed for dogs whose necks were larger than their heads and were thus prone to slippage. Examples of such breeds are the Sighthounds: Afghans, Whippets, and Greyhounds. Martingale collars are also best for training puppies. (5) Quick-Grab collar. It allows you to get a quick, easy, and sturdy grip on your feisty pooch. The aforementioned dog collars also fall into this category. Others include: (1) Head or front leading collar, which resembles the apparatus you would use on a horse’s head. A strap goes around the dog’s neck close to its ears, and then passes over its head to muzzle its mouth. 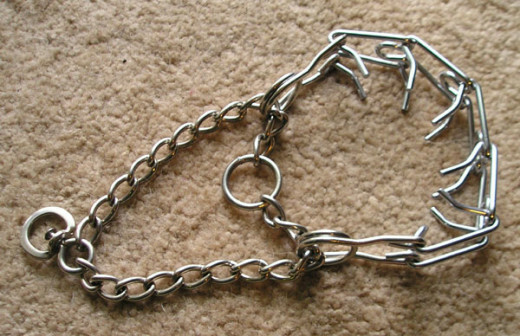 The leash hooks to a loop on the muzzle under the jaw. The animal is not inhibited from using its mouth. 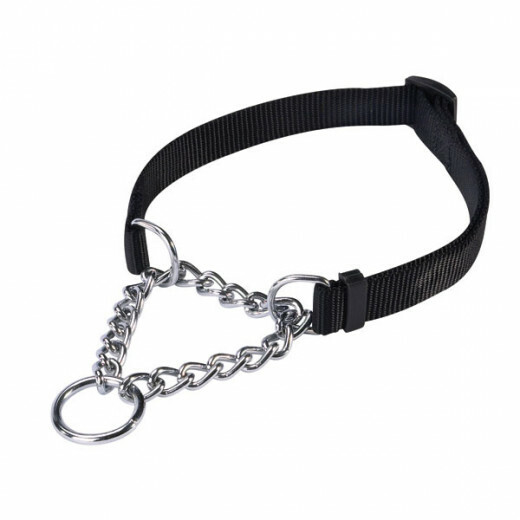 This type of collar is usually recommended for strong, energetic dogs that tend to pull, lounge, or jump. Correction is attained by applying gentle pressure on the muzzle and on the dog’s neck. (2) Harness. It is usually made of nylon and is worn around the dog’s body instead of its neck. The leash attaches at the chest. Harnesses are used to control pulling when the dog is walking. (3) Bark Control collar. It is used to curb nuisance barking. There are two harmless types: a) the citronella bark collar, which consists of a refill can, sensor, battery, and collar. The can sits comfortably on the dog’s vocal chords and emits a harmless spray of citronella fragrance when it barks. b) Ultrasonic bark collar, which emits a high pitched sound -instead of a fragrance- that only the dog hears. Variety abounds in this category. Collars come in nylon, leather, corduroy, cotton, suede, polyester, plastic, metal, and eco-friendly materials such as hemp. Nylon and leather, however, are the most popular choices. You will find every color and pattern you can think of, and embellishments such as rhinestones, beads, studs, and jewelry. There are also round shapes and flat shapes, chic, designer, and haute couture; sports and holiday-themed collars, and more. The basic styles of these traditional or regular collars include: (1) Flat collars with buckle or snap fasteners. (2) Rolled collars with buckle or snap fasteners. 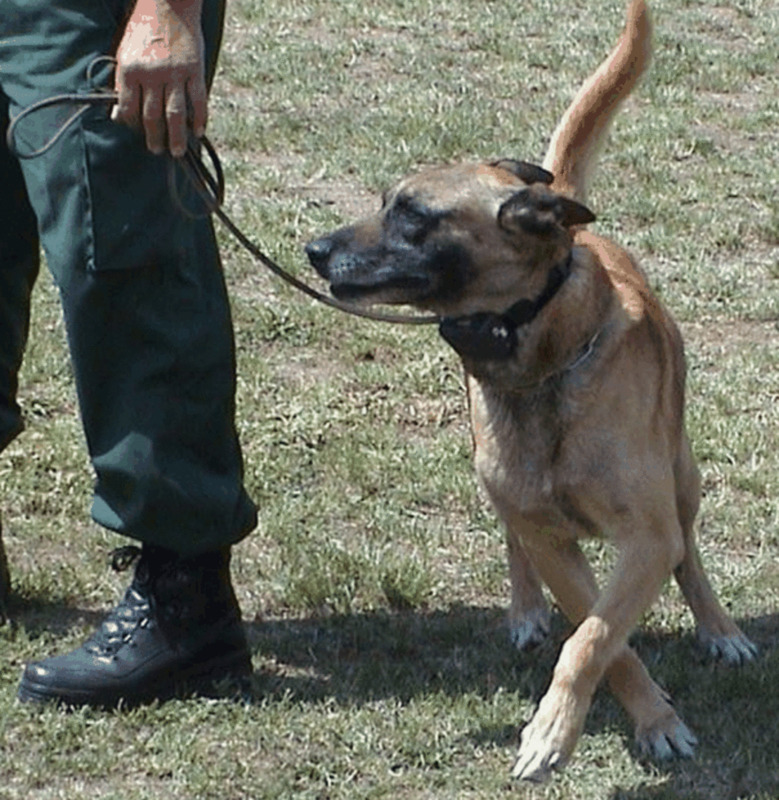 (3) Break-away or stretch collars, which break to release canine if it is caught on some object, avoiding harm. All three types have rings to attach tags and the leash. 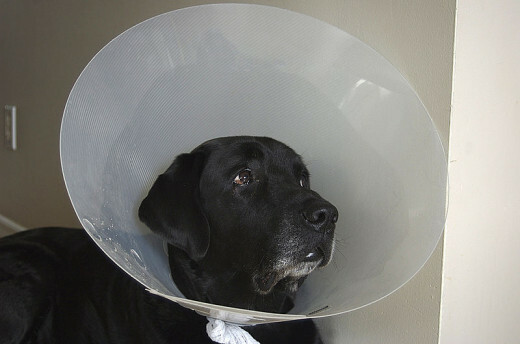 This group of dog collars includes: (1) the plastic, cone-shaped Elizabethan or E-collar, which is used to keep the dog from licking, nipping, or scratching wounds. It can be hooked on to regular collars. (2) Flea and tick collar, which is infused with chemicals to stave off those and other pesky parasites. (3) GPS (Global Positioning System) collar, which helps to locate lost dogs via satellite. 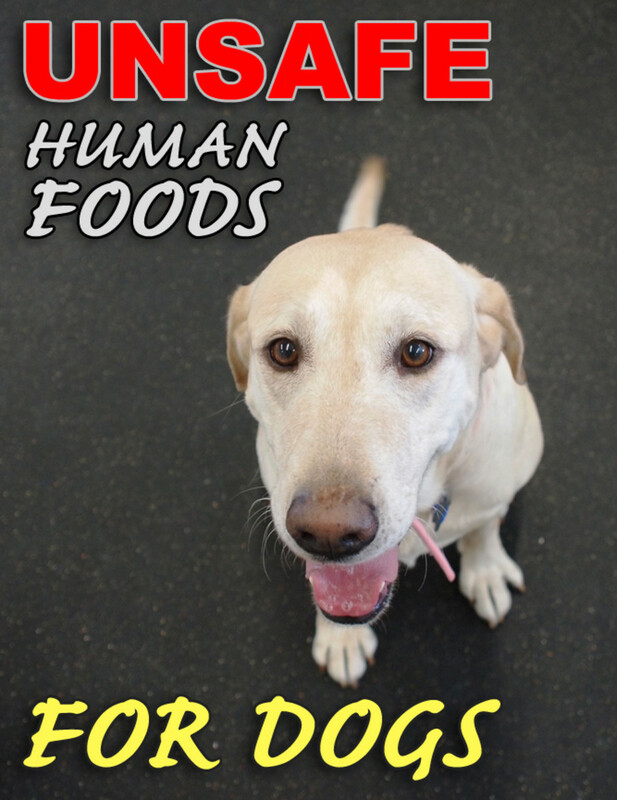 (4) Electronic or shock collars might be included in this category because they are used to control barking as well as keep your pooch contained within electronic fences. (5) The ultrasonic and fragrant spray collars could be considered part of this group as well. When you choose a collar for your dog, the main factors you want to consider are dimensions, safety, durability, and may be ease of cleaning. The standard rule when purchasing for a small or medium-sized dog is to be able to slide one or two fingers under the collar while it is around the dog’s neck. For larger dogs, it is two to three fingers. 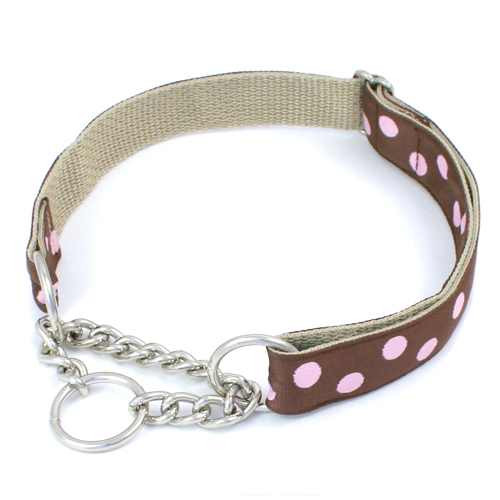 You can choose to purchase a collar that fits loosely or one that fits snugly. The article “Dog Collar Size Chart – General Sized Breeds” from the website www.mypersonalizeddogcollar.com, recommends that you measure your dog’s neck from near its shoulders for collar length. 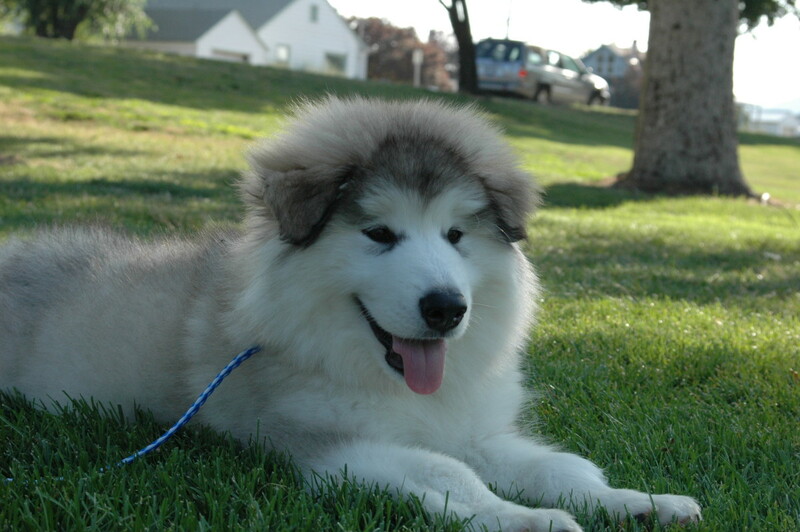 If buying collars for puppies, always go up to the next size length and width since puppies are still growing. 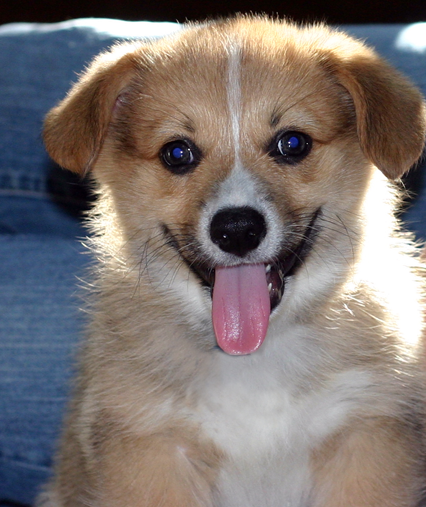 Examples of guidelines from the website http://pets.petsmart.com are as follows: (1) Extra small and small dogs such as small spaniels, schnauzers, and pinchers, miniature poodles, Jack Russell terriers, Malteses, Chihuahuas, and teacup breeds take collar widths between 3/8 and 5/8 inches. (2) Medium dogs such as Beagles, Fox Terriers, small Retrievers, Corgis, Boxers, Pekingese, Dachshunds, Shih Tzus, Bichon Frises, and some Sighthounds take collar widths between 5/8 and ¾ inches. 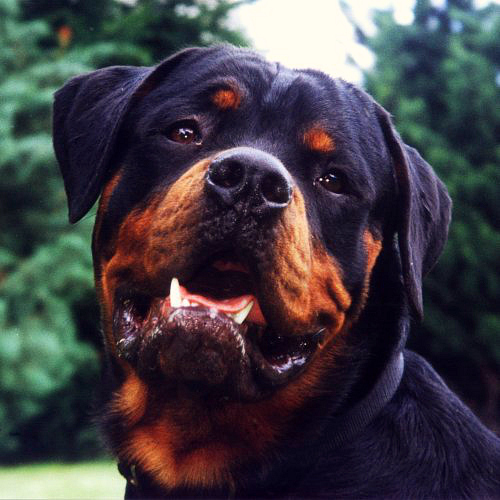 (3) Large dogs and extra large dogs such as Basset Hounds, Collies, Cocker Spaniels, Doberman Pinchers, Golden and Labrador Retrievers, Siberian Huskies, English Bulldogs, Bloodhounds, Rottweilers, Great Danes, Mastiffs, and St. Bernards take collar widths of about 1-inch. For harnesses, measure the girth of the dog while it stands. You might also want to purchase the next size up. - If you walk your dog at night, buy a collar with reflective material. - Rolled collars are recommended to reduce coat breakage, especially in long-haired dogs and inflammatory issues in dogs with sensitive skins. - Break-away collars are recommended for the toy breeds that could easily choke or suffer strangulation. 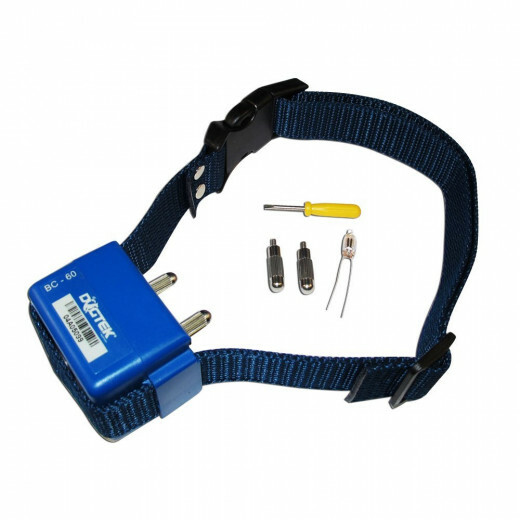 - Electric or shock collars and choke chain collars should never be used to train puppies. Nylon and leather materials are considered most durable because they are strong and they last longer. Nylon is also better for the water as wet leather tends to get moldy and could inflame your dog’s neck. How much you pay for a dog collar depends on your preference and pocketbook. 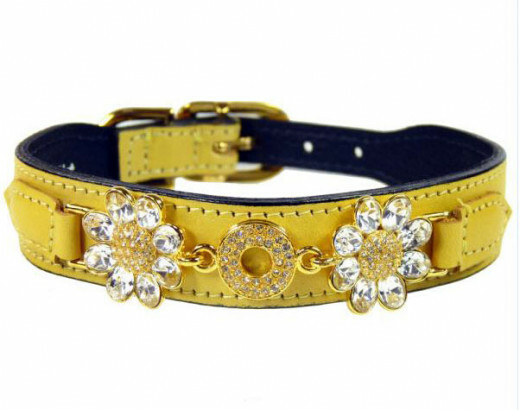 You can purchase collars for as little as $8.00 or as expensive as $400.00 plus. Man’s love affair with dogs goes back to the ancient Egyptians of 3,500 B.C. Evidence of mummified dogs wearing collars were found in tombs of Egyptian royalty. But the relationship between human and dog may go back even further. Egyptians used their dogs mainly for hunting and guarding. These early collars were made of leather. The Greeks and Romans added nails or spikes to prevent wolves and other predators from biting the necks of the canines. Dogs became available to the masses during the Renaissance Period (between the 14th and 17th centuries), according to the article “Dog Collars for Big Dogs” from the website www.squidoo.com. In the 18th century, dog owners began carving funny rhymes and expressions as well as their and often their dog’s name into the collars. In addition to leather, collars were frequently made of gold, silver, or other precious metals. Some even had bells. As you see, embellishing dog collars is nothing new. The act has simply been blown out of proportion today. This article gives you some idea of what’s currently on the dog collar market, but you should consult someone with experience (sales representative, trainer, or vet) to help you choose the very best collar for you canine buddy. And remember to include that matching leash. Which size breed of dog do you prefer?